Ms. Ejiro Umukoro, a Broadcaster and Social journalist, has alerted parents in the South-South over the increasing rate of female involvement in cultism in the various secondary schools in the region. Umukoro disclosed this through an investigative report she carried out tagged: â€œGetting Inside Me Projectâ€ (GIME), made available to the News Agency of Nigeria (NAN) on Sunday in Abuja. She said that during the project, it was discovered that Delta state was currently faced with high increase in female cultism recruitment in the region, stating that most of the schools testify to the worrisome development. According to her, some of the girls, who spoke with her and wanted to leave the cult were from 11 years to 15 years of age. â€œThere are over nine female gangs in Asaba alone, many others unknown. â€œThese nine are the most dominant groups; many of them were created as the female arm of existing male-dominated gangs and secret-cults. â€œ Which are TG Girls (Trigger Girls), Vice Queen (Vipers), F-Tibi (Future Tibi), White Angels (JVC â€“ Junior Vikings), Pink Lady (Apache), Red Devils, Bad Dragon, Blue Birds, and Red Sea. 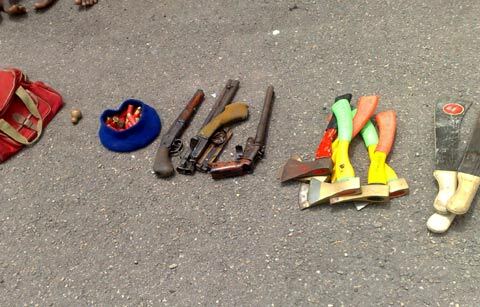 â€œThey pay recruitment fees from N2,000 to N5,000 depending on the gang, while weekly dues, post recruitment, is been reviewed from N200 to N400. â€œI have spoken with some teachers in the government schools, who admitted that a lot of cult activities are invading the secondary schools. Umukoro, however, said that these students were exposed to drugs, s*xual abuse and other social vices from peer pressure. She called on parents and other stakeholders to participate in the fight against cultism in the region by being more attentive and developing a healthy relationship with their children. She said that parents have a major role to play in helping their kids abstain from such association and also help them in renouncing such gangs.